Memphis Light, Gas and Water offers many payment channels and options to make paying your utility bill fast, easy and convenient. 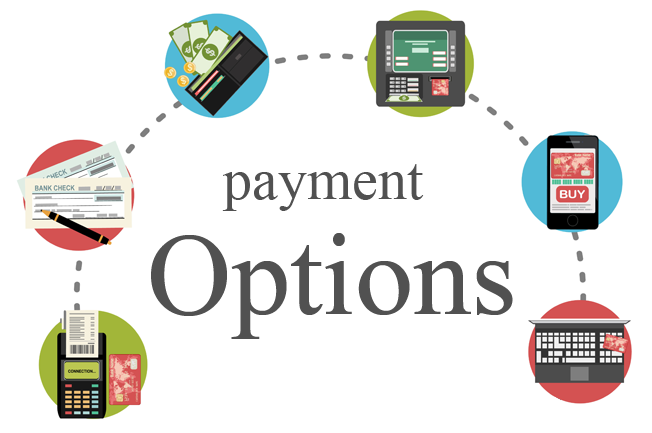 You can also view a summary of these options in our Payment Option Comparison table or click a link below for more details. **Important: If you have received a cut-off notice and want to avoid service interruption, please read our payment recommendation. If you are having trouble paying your bill, MLGW offers many Payment and Assistance Programs. Customers who sign up for MLGW's My Account electronic bill payment service can view and pay their bill online. Payment methods offered are bank checking or savings account, Visa, MasterCard credit or debit card, Discover card, and ATM debit card (displaying the Star, Pulse or NYCE logos). There is no fee to the customer for these payments. Please note that only Residential Accounts can currently be paid with Credit and Debit cards. You can make one-time payments or set up recurring payments from the payment methods listed above. If you make a one-time payment and select the current day as your pay date, your payment will be noted on your account within one hour. Payments made after 3:00 p.m. Central Time will be processed the next business day. Payments can be scheduled to pay any day up to the bill due date. Payments scheduled for any day other than the current date will be noted on your account by 8:00 a.m. Central Time on the pay date you selected. You can elect to have your paper bill stopped. If you elect paperless billing, your bills will be stored for twelve months. If you choose, you can receive payment reminders through your e-mail five days before your bill is due. When paying by mail, be sure to allow a few days for your payment to arrive by its due date. Write your 16-digit MLGW account number on your check and enclose the bottom portion of your bill to ensure your payment is properly credited to your account. For security, never send cash. You also can pay your bill by visiting any MLGW Community Office, Authorized Paying Agents or Third-Party Paying Agents. Please remember to bring both portions of your bill for faster service and, if paying by check, include your 16-digit MLGW account number. You can pay your bill at any one of the five MLGW Community Offices. The offices are open Monday through Friday, excluding holidays, to serve you. If paying by check or money order, be sure to write your 16-digit MLGW account number to ensure proper posting to your account. In addition to paying your bill, you can also receive credit counseling, have service turned on or off, make bill inquiries, and more. MLGW customers can make payments in person through Authorized Pay Agent locations throughout Shelby County. Typically, payments are posted within 60 minutes, making it a fast solution for last-minute payments. When using a paying agent, customers must have both portions of their utility bill. Customers have the option of paying by cash, check or money order. A list of authorized agents can be located online by zip code. Visit http://www.mlgwagents.com. Some paying agents charge up to a $2 processing fee. MLGW does not receive any revenue from fees charged by these agents. Note: Payment delays may result when customers do not present both portions of their tility bill or use an unauthorized paying agent. Unauthorized Third-Party Paying Agents – Payments may take 3-5 business days. Unauthorized Third-Party Pay Agents may be able to process a payment to MLGW on behalf of the customer; however, customers should know that these agents have no contractual agreement with MLGW. Payments may take 3-5 business days or longer to post to a customer's MLGW account. MLGW provides no assurance as to the timeliness or accuracy of payments made through these agents. MLGW reserves the right to refuse payments from Unauthorized Pay Agents if sufficient account identification is not included with the payment. Any fees assessed by Unauthorized Pay Agents are the responsibility of the customer. Any online or walk-in remittance processor not specifically identified on this website (www.mlgwagents.com) including banks and financial institutions should be considered an Unauthorized Pay Agent. If a customer pay through an Unauthorized Pay Agent, please advise them to keep their receipt or payment confirmation number until their payment has posted to their MLGW account. Note: A list of authorized agents can be located online by zip code. This list is continuously updated. Visit http://www.mlgwagents.com. To pay your bill by phone, you must first create an IVR login or phone pay ID and PIN using MLGW web site’s “My Account” feature. My Account will store payment preferences and make bill paying via the phone easier. Call our automated payment system at 1-866-315-0277 when you are ready to make a payment. Payment methods offered are bank checking or savings account, Visa, MasterCard credit or debit card, Discover card, and ATM debit card (displaying the Star, Pulse or NYCE logos). Payments submitted through this channel are noted on your account within one hour if made before 3 p.m. Central Standard Time. Payments made after 3 p.m. CST will be noted on your account by 8 a.m. CST on the next business day. This is one of the quickest ways to make last-minute payments. With the MLGW AutoPay program, your utility bill is deducted from your bank account each month. You still receive a statement so you can keep track of your usage, but your checking account is automatically deducted on the net due date shown on your bill. With AutoPay, you eliminate the inconvenience of writing checks and postage, plus you are assured your bill will be paid on time each month. With MLGW’s PrePay service, you make smaller payments throughout the month while eliminating a traditional utility bill, deposit, late fees and electric service reconnection fees. MLGW PrePay is a plan similar to a prepaid cellphone or to filling up your gas tank—you pay upfront and, as you consume, your remaining balance decreases. You can “refuel” by adding money to your MLGW PrePay account any time you choose. Convenient email, text or phone notifications alert you when you need to add money to your account. PrePay customers also have access to the MyUsage website to track their consumption, payments and balance. PrePay is an option for residential customers who have smart meters for all MLGW services. Customers who are late making payments and receive a cut-off notice must act immediately to avoid service interruption. Payments through these locations are posted to your MLGW account within 30 minutes. Using these channels does not guarantee cancellation of a scheduled same-day service cut-off but, once verified, will provide payment confirmation to get your service restored. All other payment methods are subject to delays, so consider your payment due date before selecting a payment method.